SewaDPC.Com is a central computer rental of computer,rental or LCD projector infocus, rental Laptops ( NoteBook ), Desktop PC, projection Screen ( large screen for projection LCD multimedia projector ) that has been experienced. Coverage we se-Indonesia, specialist WEST JAVA or around BANDUNG and JAKARTA. 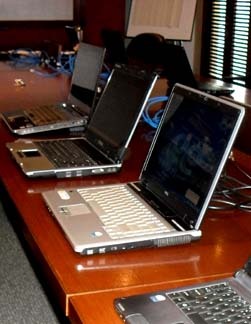 For you who need to rent and computer equipment for the event or the presentation of seminars, workshops, meetings and press conferences to be such a simple contact with Us. DAN DAPATKAN HARGA TERBAIK DARI KAMI and get the Best Price and service from Us. Why Computers Must Rental to SewaDPC.Com? 1. All our computer equipment is secured in very good condition & uniforms (all the same). 2. Software used is original and licensed. 3. To guarantee the price, service & quality product. 4. Technical Support Services are supported by staff of computer experts experienced & reliable. 5. Free shipping & withdrawal. 6. Installation Services Network (LAN) both wired and wireless if needed. 7. Available back-up unit, so you will not feel fear failure events. Because we SUKSES WARRANTIES EVENTS YOU.